Broadcom’s $5.5 bln deal for Brocade is the latest transaction to mix equal parts strategic logic and financially appealing cost savings. Stagnating sales, cheap money and maturing technology give acquisitive firms like Broadcom plenty of targets to choose from. Broadcom Corporation President and Chief Executive Officer Scott McGregor stands in front of the company's logo in Taipei March 18, 2010. Broadcom said on Nov. 2 that it had agreed to buy Brocade Communications Systems for $5.5 billion, or $12.75 per share. That is a 47 percent premium to where the shares closed on Oct. 28, the last trading day before news of a deal emerged. 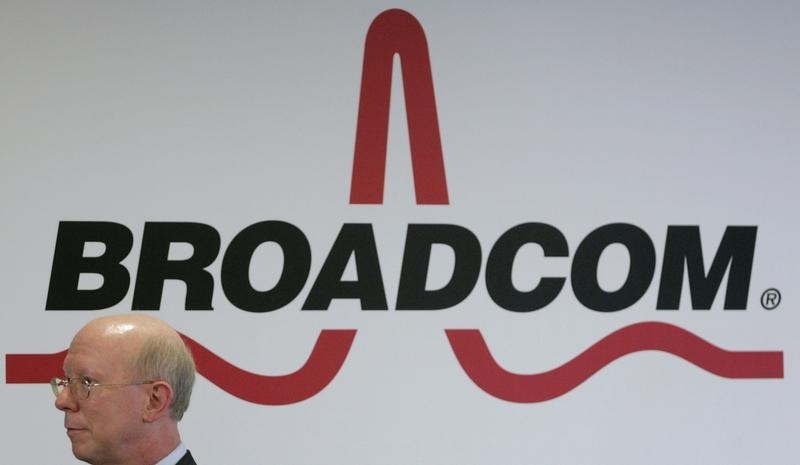 Broadcom plans to divest Brocade's IP networking business. That business accounted for 35 percent of revenue in the quarter ending July 30.